Flavor West Strawberry Milkshake Concentrate contains no artificial flavourings, providing only the natural sweet but tart taste of freshly picked strawberries. 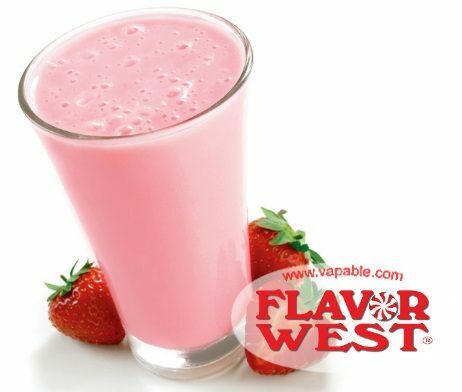 Flavor West Strawberry Milkshake Concentrate gives the gorgeously smooth flavour of sweet strawberries blended with creamy milk. The strawberry flavour is quite prominent in this concentrate, while the milkiness tends to be fairly light. 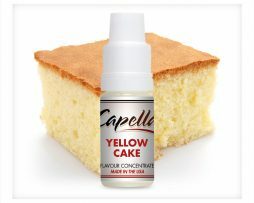 This concentrate works well as a stand-alone flavouring, but would make a good base for a fruity beverage mix or combine it with creams or custards to boost the dairy notes. We recommend that you allow e-liquids made with this concentrate to steep for at least a week to allow the flavours to fully develop, otherwise the strawberry can be harsh and the milky notes can seem sour. At 15% this is easily one of the best standalone Strawberry Milkshake flavors I've tried so far. I still have 3 others steeping but for now I'm super happy with it. At 15% this is easily one of the best standalone Strawberry Milkshake flavors I’ve tried so far. I still have 3 others steeping but for now I’m super happy with it.